As soon as I first heard of Skin Organics Clean Beauty Box, I was hooked. 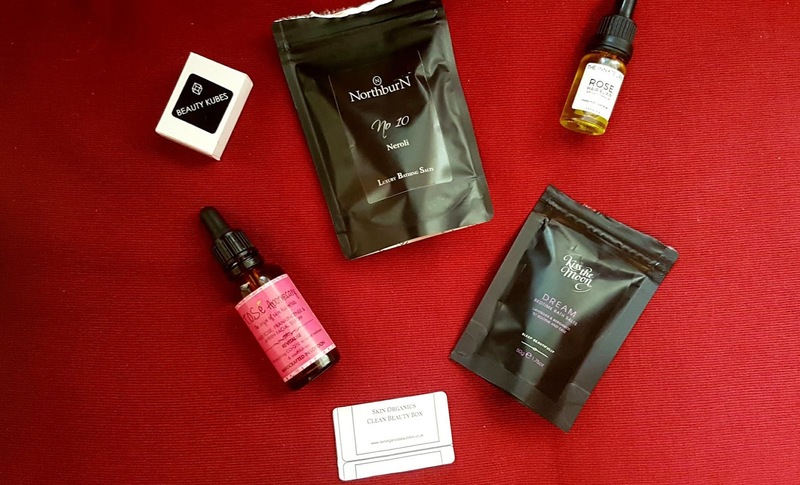 Like most subscription services, the box is sent on a monthly basis and contains five beauty products. This box goes that extra step and promises not only cruelty free and vegan beauty goodies, but free from nasties as well. Every item is organic and all natural, meaning you can treat yourself without feeling any worry or guilt! Each month I would watch the unboxings unfold, and read reviews feeling some pretty heavy beauty box envy. I thought it would be ages before I saved up enough to be able to sign up for another subscription, and so I would simply gaze at all the lovely natural goodness. That is, until now. That's right, I have finally managed to get one of the lovely boxes from Skin Organics! While it may not be one of the monthly subscription collections, it is the next best thing: a Build Your Own Box! Starting from just £20 (plus postage), you can create a personal edit just for you, meaning every single item is suited for your skin, hair, or wellbeing needs. The hardest part? Choosing which items you want. Paula, owner and founder of Skin Organics Clean Beauty Box, has a very detailed catalog of products you can select from, and you simply let her know which products you want, pay, and (im)patiently wait for your eco-friendly package to arrive! It honestly took me ages of scrolling up and down the catalog trying to narrow down which I wanted to choose -- there were so many options, and I always second guess myself when making purchases. Did I want a new lip balm to try? But no, I have four still waiting to be used! Did I want to test out a cleansing oil? That's not right either, I have so many cleansers already on deck. Eventually, I opted for four products (you can choose up to five if you wish), three of which are full size and one try me size. And surprise surprise, two of them are bath salts (of course!). 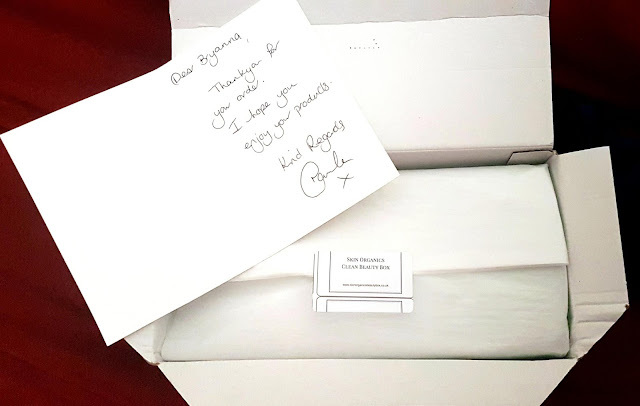 Beyond just being impressed by the crisp white presentation of the box, I was so thankful to Paula for the personal touches and for her overall kindness. She was so helpful when I was asking questions, and I asked a LOT. She always wrote back quickly, and when I had finally chosen the products I wanted, she posted my box pretty much the next day. Plus, she even added a little extra item as a surprise after me mentioning how unique I thought the Beauty Kubes included in the previous Skin Organics box were! I was floored, and so very grateful. The items themselves are just as good as they sounded, if not better. 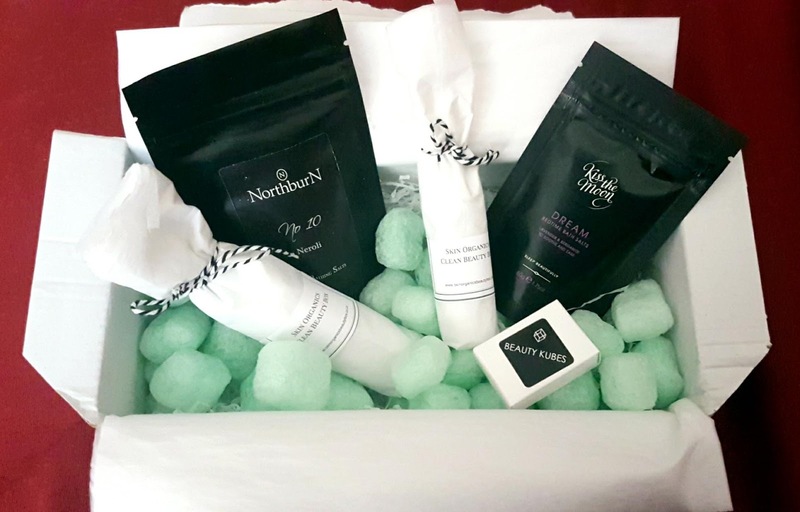 I selected a full size bottle of Tose Apothecary facial serum, a full size bottle of The Innate Life hair elixir, a full size bag of NorthburN luxury bath salts, and a sample size bag of bath salts from Kiss the Moon. The only brand I had any actual experience with is Kiss the Moon, though I had not actually used the Dream salts before. And, while I have heard loads of great things about Tose Apothecary, I had not actually had the chance to try anything from them yet. This Build Your Own Box had given me such a great chance to test out some new names, and I was so excited! 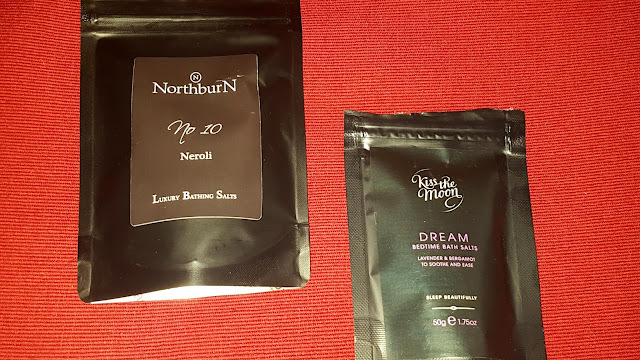 I took a bath the very same night I opened my Skin Organics custom box, which gave me a chance to use the NorthburN No 10 Neroli salts straight away. I was surprised when I opened the bag, as the product inside was not what I was expecting. Rather than standard crystals, this product has almost a powder-like texture, making it more of a soak than traditional salts. I think this is due to the formula containing tapioca starch to bond with the cacao seed butter. The scent is really strong, so you do not need too much -- maybe just one tablespoon (the package says "a handful") for the full bath. My one complaint is the ingredients label contains parfum, which in and of itself is not necessarily a problem, as parfum and fragrance are just collective terms to 'protect' recipes, but it is always frustrating for me as I do suffer from allergies to fragrance. Many products that contain parfum often leave me in sneezing fits for upwards of twenty minutes, or make my skin rash out with hives. Luckily, my skin did not react to this soak, but the NorthberN website does not list their ingredients anywhere online so I did not see this before ordering. Ingredients: Sodium Chloride, Tapioca Starch, Theobroma Cacao Seed Butter, Parfum, Linalool, Hydroxycitronella, d-Limonene, di-Citronella. I have used Kiss the Moon's Glow bath salts before and adored them - everything about them was perfect for me, from the smell to how they left my skin feeling. The Dream salts are just as lovely, and even more dreamy. I use two tablespoons for my bath, and let the relaxing scent of lavender and bergamot lull me into a sense of peace and calm. The blend of epsom salts and magnesium salts are meant to work in tandem with the soothing oils to ease muscles and relax the mind, and help get you ready for a full night's sleep. And in my opinion, they work 100%. I have to admit I have not used too much of this yet, as I still have so many face oils and serums to get through, but I did test it twice and I seriously cannot wait until this is my daily skin treatment. The Tose Apothecary Wild Rose, Frankincense and Myrrh Facial Serum was my luxury pick for my Build Your Own Box collection, and it is already living up to (and possibly exceeding!) my expectations. 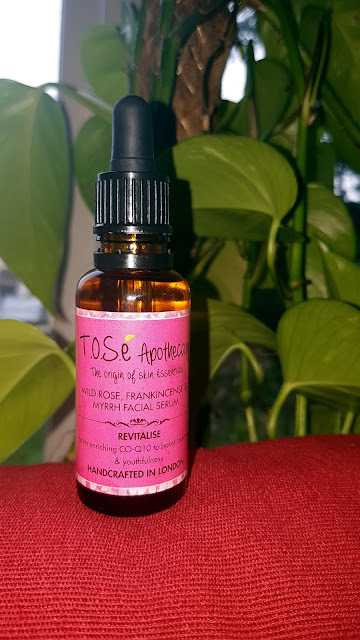 "Revitalize, Balance & Restore your skin with this unique concoction of rosehip, jojoba, hazelnut, lavender, geranium, rosemary, frankincense & myrrh & added Vitamin E - all known for their anti-ageing, healing & nourishing properties. This natural handcrafted blend gives your skin the vital nutrients required to heal the deeper layers of your skin while making your facial skin look supple, well nourished, younger and flawless. The botanical ingredients in this serum are known to repair & comfort the deeper layers of your skin with every use - a well formulated concoction of cold pressed plant oils & essential oils blended together synergistically to multifold the benefit. And just from my dabbling, I already can tell how much my skin is going to love this. The oil absorbs quickly, and leaves a really healthy glow. I didn't have any irritation, which is always my worry, and no spots popped up the next day either. Plus, it smells incredible. This is one serum I know I will be repurchasing when the time comes. Ingredients: Corylus avellana (Hazelnut) Seed Oil, Simmondsia chinensis (Jojoba) Seed Oil, Rosa canina (Rosehip) Fruit Oil, Oryza sativa (rice) Bran Oil, Squalane, Lavandula angustifolia (Lavender) Oil, Boswellia carterii (Frankincense) Oil, Commiphora myrrha (Myrrh) Resin Oil, Pelargonium graveolens (Geranium) Flower Oil, Tocopherol (Vitamin E), Rosmarinus officinalis (Rosemary) Leaf Oil, Ubiquinone (Co­enzyme Q10), Geraniol*, Linalool*, Limonene*, Citral*, Citronellol*. 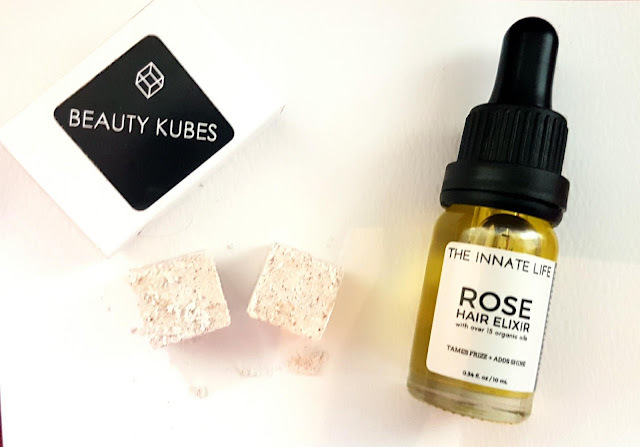 One of my favourites in my Build Your Own Box has to be the 10ml bottle of this Rose Hair Elixir from The Innate Life. I recently got into trying more hair oils after using Evolve's Nourishing Hair Elixir and loving the results. Normally I struggle with split ends or at the very least dry ends. Since starting to introduce oils to my locks, I have definitely noticed a change for the better. So when I saw The Innate Life included on Paula's list, I knew I had to choose this hair hero. I haven't been disappointed, and I am honestly impressed with how quickly it seems to have helped my ends. Over 15 oils work together to promote healthy hair, and from what I have felt and seen so far, they are succeeding. The rose oil and rosehip oil repair damage, while the ultra-powerful black cumin seed oil protects from environmental stresses -- something that has been so good in this cold, dry weather! I'm loving this little bottle so much, I will be really sad when it is finished up, though that probably won't be for a while yet seeing as I only need to use two drops per application. I just hope I can manage to get ahold of another before that happens! Ingredients: Rosa Mosqueta (Rosehip) Fruit Oil*, Persea Gratissima (Avocado) Oil*, Prunus Dulcis (Sweet Almond) Oil*, Helianthus Annus (Sunflower) Seed Oil*, Vitis Vinifera (Grape) Seed Oil*, Linum Usitatissimum (Flax seed) Seed Oil*, Curcu- bita Pepo (Pumpkin) Seed Oil*, Macadamia Ternifolia (Macadamia Nut) Seed Oil*, Camellia Oleifera (Camellia) Seed Oil*, Oenothera Biennis (Evening Primrose) Oil*, Argania Spinosa (Argan) Kernel Oil*, Simmondsia Chinensis (Jojoba) Seed Oil*, Aleurites Moluccana (Kukui) Seed Oil*, Hippophae Rhamnoides (Sea Buckthorn) Fruit Oil*, Nigella Sativa (Black Cumin) Seed Oil, Tocopherol, Blend of Essential Oils*. And the Beauty Kubes... They are just as good as they looked and sounded when I was reading everyone's reviews of the last Skin Organics Clean Beauty Box! I have only used one so far, and at first I was unsure how in the world this crumbly dust would clean my hair. Even when I started to apply it I admit to having doubts, as it turned into a semi-gritty paste that seemed to clump up in bits of my hair. However, even before I finished my shower I realized how clean my hair felt. All without any plastic, and all without any nasty ingredients! I will definitely be buying more of these shampoo cubes in the future. Right now I am finishing the remainder of my bottled shampoo, and then I will be opting out from any plastic products in my bathroom. I have a feeling these Beauty Kubes are going to become a staple for me and my partner, and seeing how you get 27 squares per box, and I only wash my hair 1-2 times per week, I think they will be an exceptional investment! And that was my Build Your Own Box from Skin Organics! Are you as impressed as I am? Is this something you would be interested in? I honestly am loving my picks, and I cannot wait until I have saved up enough to purchase a six month subscription plan. Until then, I will be using all these natural goodies up and living vicariously through everyone else's posts! I absolutely love the idea of building your own box! The facial serum sounds absolutely amazing! I'm often put off by subscription boxes thinking that I will receive items that are not suitable for me. I love that you can build your own box to ensure it is all relevant.